How Do Banks and Lenders Set Interest Rates? For many consumers, the way banks and lenders set interest rates on their automobile loans, credit cards and other finance products often seems to be clouded in mystery. Is the rate something the Federal Reserve Bank Chairman designates? Are the rates determined in closed-door meetings? Let’s walk through all the different aspects of interest rates and all the factors considered. Banks do have the authority to set their own rates. In fact, U.S. anti-trust regulations strictly prohibit coordinating interest rates and fees with rival banks. However, most banks set their rates with an eye on their competition. And even though banks do not cooperate with each other when setting their interest rates, they do tend to follow the same indices. For example, the “prime rate” is the rate assigned to the bank’s very best customers, particularly the consumers and businesses with the best credit ratings and lowest likelihood of defaulting on a loan. However, there is also a nationally indexed prime rate, most often recognized as the Wall Street Journal Prime Rate. The Wall Street Journal Prime Rate is actually a survey of several banks who reveal to the news organization what their own individual prime rates are. The survey is then reported and published daily. Even though the prime rate index is an average of surveyed banks, the prime rate charged by different banks rarely varies. So how do individual banks determine the prime rate they charge to their best customers? Banks base their prime rate on several factors, but it essentially comes down to how much it costs banks to get the money that they then lend out to borrowers. This means that banks have to consider what they pay to their depositors. When depositors put money in a savings account or take out a CD, they are basically lending money to the bank. Banks then lend out the money they bring in from deposits. To make a profit, banks must charge an interest rate that is more than what they pay out on those interest-earning deposits. Banks get the funds that they then use to lend out to borrowers from many sources besides deposits. Banks also borrow from each other, so the cost of borrowing money from other banks must also be factored into their prime rates. Most U.S. banks rely on the Federal Funds Rate, which is the interest rate at which depository institutions trade balances at the Federal Reserve. In other words, the Federal Funds Rate is what banks are typically charged when borrowing from other banks. 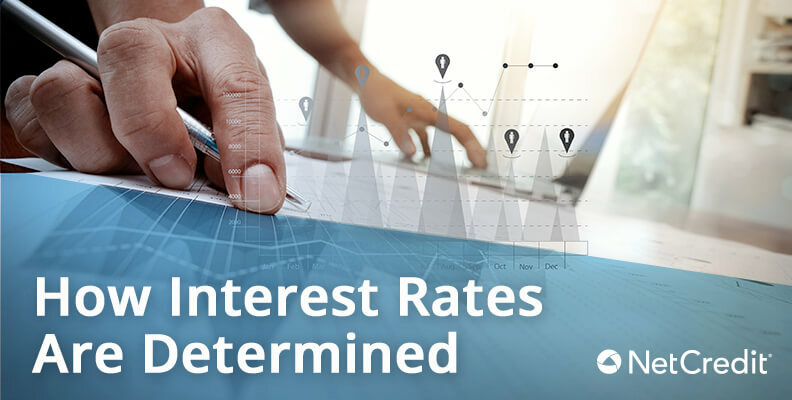 The Federal Reserve Board, the board of seven members who set the policy regarding the discount rate, reserve requirements and other important economic factors, sets the Federal Funds Rate. The prime rate is typically about three percentage points higher than the Federal Funds Rate. For instance, the Federal Funds Rate is currently at 1.00% and the Wall Street Journal Prime Rate is 4.00%. The prime rate for a bank is the base rate that bank uses to set interest rates for other consumer loans, credit cards and automobile loans, to name a few. In other words, the best borrowers on standard loans receive the prime rate. All other borrowers will typically be charged a higher rate based on their credit profile and the riskiness of the loan. Here is where interest rates will show more variance between competing banks. Banks evaluate risk based on the purpose of a loan request and the credit history of the borrower. For instance, unsecured credit cards are considered riskier for most lenders than typical car loans. As a result, the interest rate for an unsecured credit card to an applicant with good credit will be higher than an auto loan for someone with similarly good credit. The difference may widen based on the borrower’s credit history. So a car loan borrower with excellent credit may get an interest rate of less than 4.00%, while a consumer with average credit may be charged 15.00% to 22.00% for an unsecured credit card. It’s a little different with mortgage loan products. Some banks do lend real estate loan terms based on the prime rate, while many banks also offer home equity and second mortgage loans based on the prime rate. However, the majority of residential home mortgage loans are not based on the prime rate. Instead, they are pegged to the U.S. Treasury Bills (T-Bills) or Bonds (T-Bonds), as well as to LIBOR (London Interbank Offered Rate) and other government bonds. Many adjustable rate mortgage (ARM) loans base their interest rates on the U.S. Treasury Bills or LIBOR rates. Long-term mortgage loans, especially 10-, 15- and 30-year fixed-rate mortgage loans base their interest rates on long-term (15- or 30-year) Treasury Bonds. Consequently, as the yields on T-Bonds and T-Bills go up, the interest rates on mortgage loans based on those indices will also go up. As you scan the Internet or local newspapers, you’ll probably notice that most lenders have very similar rates. Like gasoline stations, the difference in rates is often very small. The reason is that banks actively compete with each other for depositors and borrowers, so lenders will always be competitive with one another for most every type of loan they issue. They have to or they wouldn’t be in business for very long. Nevertheless, banks do have their own internal interest rate policies, which is why it’s so important to compare interest rates from different lenders when you’re ready to shop for a loan.